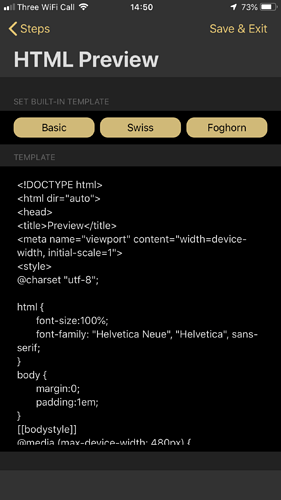 I would like to change the font, size etc of the Markdown Preview with iCloud (or any preview, for that matter). I can’t find where the theme files are stored. In fact, I’m having difficulty finding where my Drafts files, Mac + iOS, are stored. I have a Drafts folder on iCloud, and preferences point to iCloud, but there’s hardly anything in the folder. Everything saves and syncs just fine, but where that happens is a mystery. For me, everything is on a cloud, either Dropbox, iCloud or a couple of others – but I wouldn’t have a reason not to use the default iCloud. 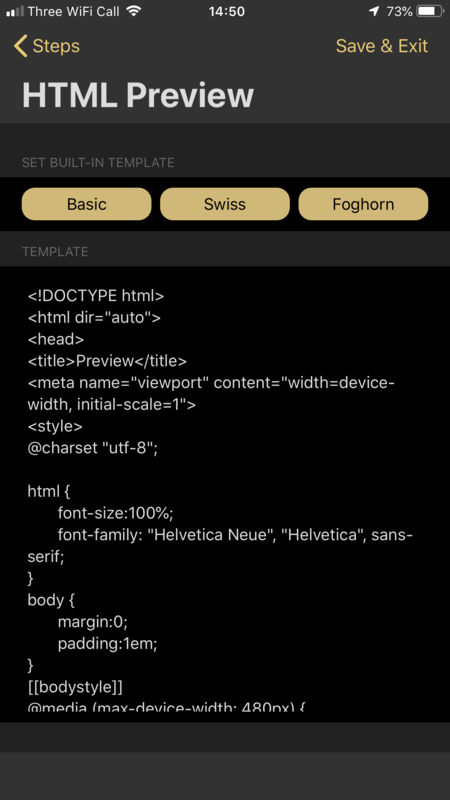 Assuming you are using an HTML Preview step in a Markdown Preview action, take a look at the step to view the template content. Here’s one of the standard actions Greg created in the Actions Directory that’s a preview action. Install it, if you don’t already have it, edit it (you will of course need to have a subscription to edit actions), and then select the second step (HTML preview) and edit the template in that. Here’s the documentation for that preview step.